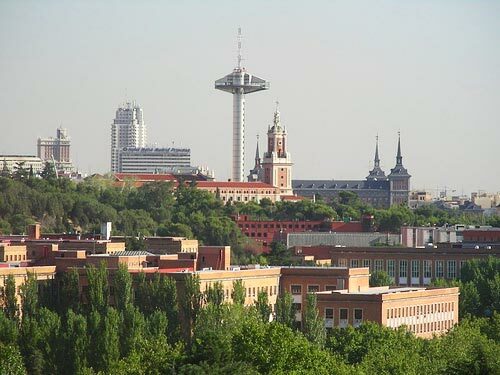 Complutense University of Madrid is a public research university in the capital of Spain. It was founded in 1293 thanks to the generous donation of King Sancho IV of Castile to the Archbishop of Toledo. Originally the university was placed in Alcalá de Henares where it became the first university campus ex-novo of the history. Many of the original buildings still being part of the university campus of the Alcalá de Henares University. In 1499, the university dean Cardinal Cisneros obtain from Pope Alexander VI a bull conferring recognition to all the degrees. He also rename the university as Universities Complutensis, regarding the Latin name of the city. In 1836, Queen Maria Cristiana closed the university and move it to Madrid. The new institution was renamed as Literary University, and it won’t be until 1970 that retakes its actual name. Place in the active capital of Spain, Complutense University of Madrid became a large institution especially in the 19th century. In 1927, King Alfonso XIII donated the lands to build the actual campus in Moncloa area, also known as “Ciudad Universitaria”. Besides, the land Alfonso XIII donated a generous amount of money to build new structure to hold the institution. Most of the building were designed in Functionalism style, some of them survive to the Civil War later on. In 1970, the university again and for the last time renamed, becoming the Complutense University of Madrid.